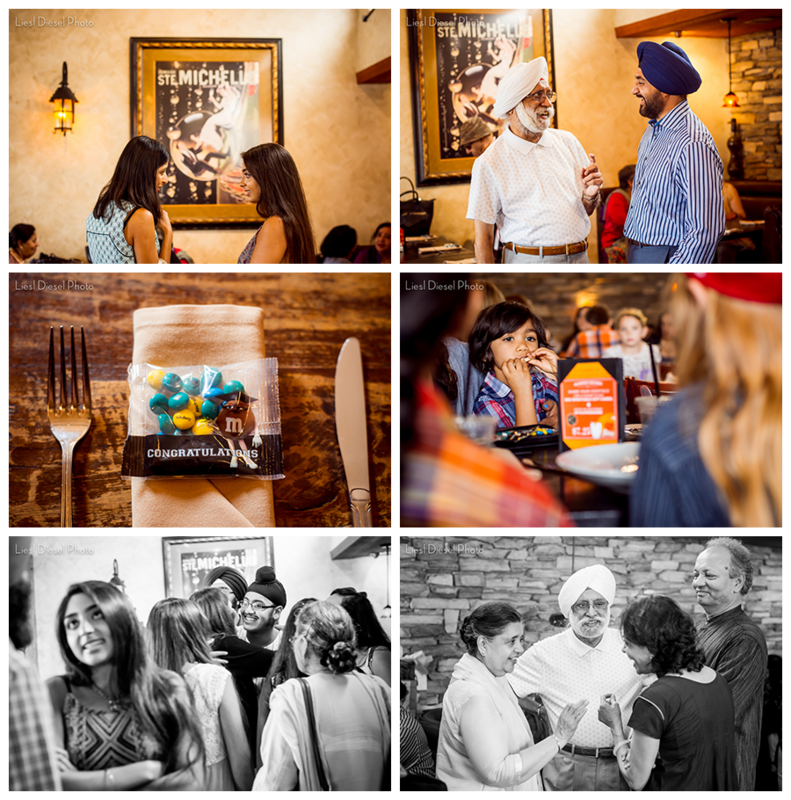 The Singh family recently hired me to photograph their daughter’s graduation portrait and reception at H.T. Grill in Redondo Beach. I was thrilled for several reasons. First, as you can see, they are an incredibly sweet and gorgeous family so it was such a pleasure spending a few hours with them! Second, everything from portraits to the party took place within a few blocks of my home in the South Bay. That does not happen often! We started at the Hopkins Wilderness Park for portraits, it was a soft cloudy day so the light was easy to work with! After a quick portrait session and missing the rain, we headed to H.T. Grill for her reception. I loved watching this beautiful tight knit family converse and enjoy each other’s company! This entry was posted in california, events, families, Portraits, senior portraits and tagged graduation, ht grill, liesl diesel photo, redondo beach, senior portrait. Bookmark the permalink.